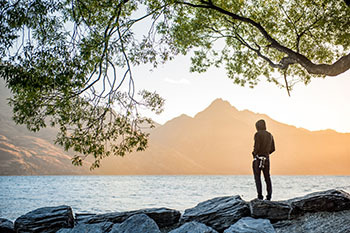 As you land in New Zealand, you will feel like you are in your own Bilbo Baggins adventure. 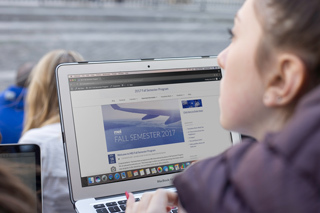 World-class surfing, marathon hiking, and stunning mountain ranges are balanced with academic pursuits in literature, mathematics and media. If you want to prepare yourself for university and test your GRIT this is the course for you. From treks through lush rainforests in Milford Sound, to hikes on the Fox Glacier in New Zealand, the adventure continues to Australia where you will surf on Bondi Beach in Sydney, hike the Blue Mountains, and dive to the depth of the Great Barrier reef before settling into the tranquil beaches of Bali. While the academics strengthen your cerebral cortex, the adventure will blow your mind. I want to give a shout out to the MEI staff for the incredible experience Jesse had on the Adventure Down Under trip. We picked her up at the airport last night and she truly has never been happier. The trip and interaction with the teachers has given her a new perspective on herself and the beautiful world she lives in. We are so grateful to the teachers and the entire team at MEI for providing this experience. Our ten day, session is designed to connect students with their teachers and classmates and to help prepare students for their term abroad. 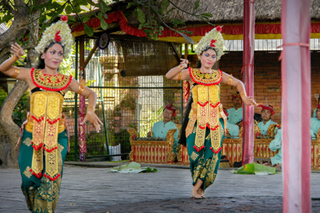 Our journey to New Zealand, Australia, and Bali commence in Toronto where teachers and students get to know one another and settle into the rhythm of the program. 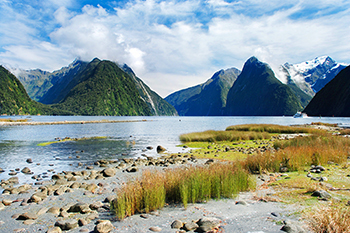 If ever there was an epic destination to explore, New Zealand is it. With its world-class surfing, marathon hiking, and stunning mountain ranges—it is little wonder it served as the all-natural set for the Lord of the Rings films. Our grand adventure begins on the South Island, where students participate in team-building as they whitewater raft in one of the region’s winding rivers before relaxing in a natural hot spring. In Queenstown, the students are introduced to their morning workouts and academic routines. In Milford Sound, students embark on an otherworldly trek through Fiordland National Park, where the beautiful becomes the sublime. While hiking through the lush rainforests along the coast, students have the opportunity to witness dolphins, penguins, and seals in their natural habitat. From the sound, students travel to Fox Glacier where the outdoor adventure continues on its incredible natural ice formations fed by four alpine glaciers. 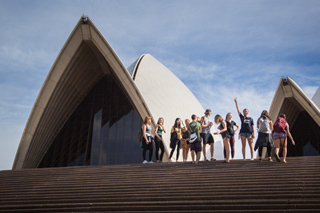 From New Zealand, we travel to our first Australian destination, Sydney, where students are immersed in one of the world’s most active cities. Set against a backdrop of breathtaking mountains and golden beaches, students hit the ground running, utilizing the upscale harbourfront district as their home base. Here, our Physical Education program focuses on maintaining balanced health through presentations on diet, exercise, and mindfulness. 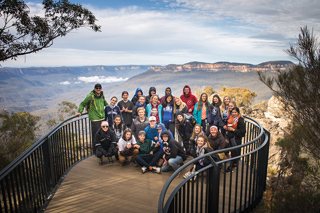 Before boarding a flight to Queensland, students enjoy an unforgettable three-day trek through the eucalyptus forests of the Blue Mountains. A UNESCO World Heritage area, the mountains connect body and mind as we hike rugged mountain terrain, cross rivers, and share campfire dinners—with an ever-eager eye looking out for koalas and kangaroos! As we pass the sacred aboriginal site, The Three Sisters, and through the blue haze of Jamieson Valley, we take advantage of this ideal location to discuss indigenous rights and reconciliation. Travelling south along the eastern coast of Queensland, we visit the Sunshine Coast where our central text takes centre stage as we develop our skills of forming a narrative voice. 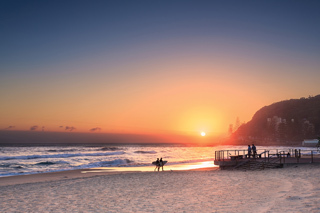 The Sunshine Coast is home to white-sand beaches, national parks, universities, and award-winning international cuisine. Here, students dolphin watch in Alexandria Bay and hike along the spectacular boardwalks of Noosa National Park. In Cairns, we switch gears as our days are spent focusing on academic writing and the development of effective argumentation, while afternoons are spent boulder climbing, playing handball, or diving for volleyballs along the city’s esplanade. Family dinners at the public barbecues or group meals in our cozy apartments complete our days in Cairns before we make our way to one of the world’s most spectacular regions—the Great Barrier Reef. 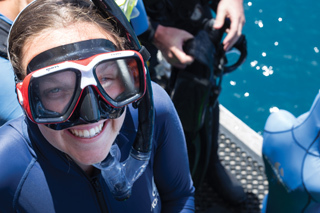 Residing on a liveaboard boat, students discover the hidden nooks of the coastline while scuba diving and snorkelling in search of clownfish, reef sharks, and sea turtles. 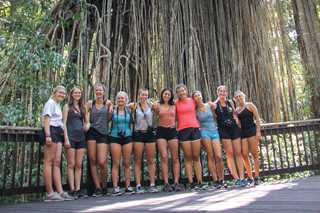 Back on land, students ascend to the tropical heights of the Atherton Tablelands. 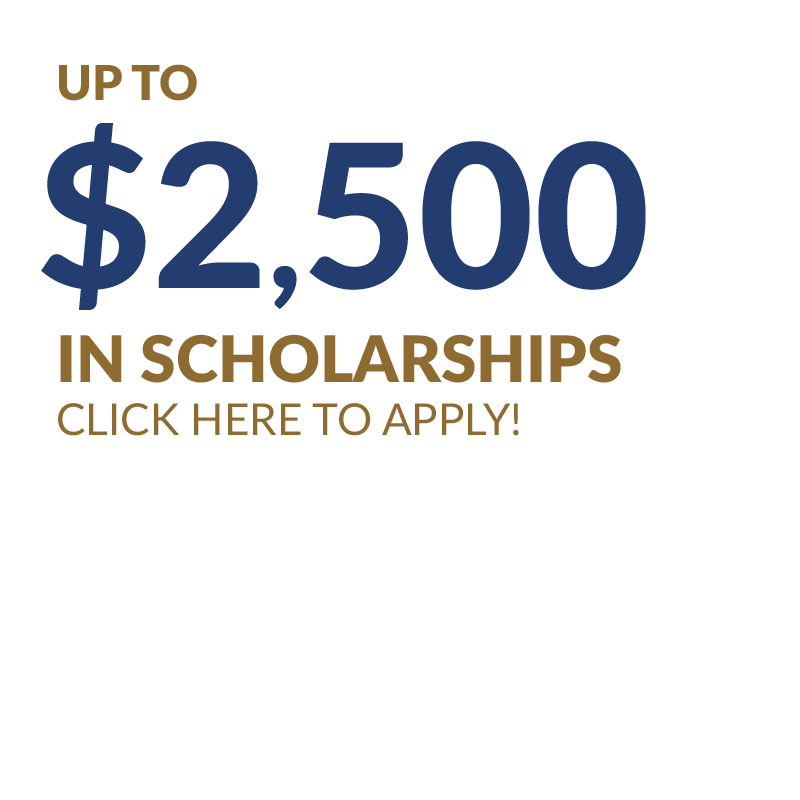 An adventurer’s paradise, students canoe local lakes, visit stunning waterfalls, and hike through a rainforest. 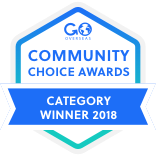 Aside from the funky cafes of Yungaburra and the local platypuses, our accommodations offer the best of Australian hospitality and a calm abode to complete activities and assignments. 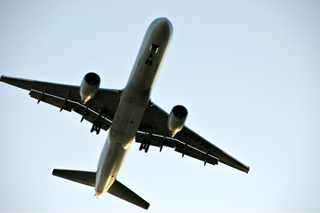 Flying from Cairns to what seems like paradise—Bali—students decompress from their epic journey so far. 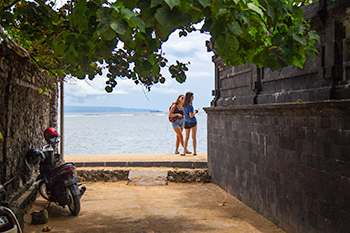 The energy of Canguu is deeply connected to the joyous spirit of this island and its smiling inhabitants. In Canguu, an economy driven almost entirely by its visitors, students examine the far-reaching effects of tourism and globalization as they begin preparations for their Independent Study Units. From Canguu, we travel northeast to the nearby city of Ubud, where our attention turns to final exam preparation in between visits to the Tegallalang rice terraces, Monkey Forest, and the Goa Gajah ‘Elephant Cave.’ Here, students write final exams and celebrate their journey as they conclude their adventure through Oceania.